Charles moves to Echo City to discover it's chock-full of monsters. 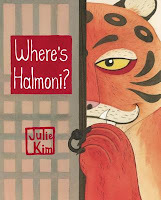 He manages to track down Margo Maloo, monster investigator, who agrees to help him. Which is lucky because the trolls, ogres, and other monsters they encounter don't really seem to like Charles much. Lurking outside the walls of Sunrise Valley is a deathly fog, and Pig is the only one who can keep the city safe. But when the fog comes with an unexpected vengeance one day, Pig and two unlikely friends set out to save their home. This quiet early reader represents an age-old question: what do your toys do when you're asleep? After a long day of jumping in leaves and reading books, a little girl is tired and ready for bed. But as soon as she falls asleep her favorite stuffie, Planet, wakes up and has her own adventures, making new friends, eating cookies, and attempting to achieve the impossible. A grandmother tells the story of how, as a young Jewish girl in Paris, she was protected and kept hidden from the Nazis––who took her parents to concentrations camps––by a series of neighbors and friends who risked their lives to keep a stranger safe. Hilda is an adventurous girl who lives with her mother and a deerfox named Twig. The trio encounters everything magical, from trolls to giants to invisible people. Hands-down one of the best series out there right now. 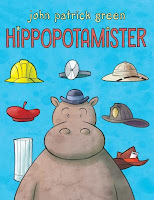 Hippo and his friend Red Panda decide to head out into the human world and learn that in order to survive––and more importantly, blend in––they have to become quite different than they are. They have to wear human clothes, learn human jobs, and act as human as possible. But is it worth all the disguises if they never gets to be themselves? 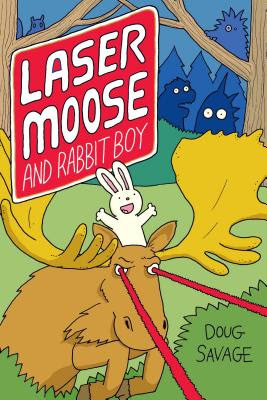 Meet Laser Moose, defender of the forest, and his sidekick Rabbit Boy! This hilarious, upbeat duo battles everything from aliens to a cyborg porcupine to a mechanical squirrel to even a chickadee in order to keep the forest safe from evil. Join Narwhal, a happy-go-lucky narwhal, and Jelly, no-nonsense jellyfish, as they discover the ocean together! These early "chapter" books are divided into three stories for three times the waffle fun. Where did we come from? Where did everything come from? 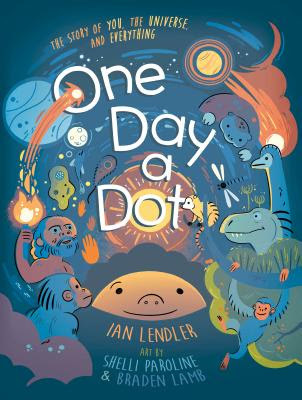 This early reader starts at the very beginning of time, from a tiny dot through the Big Bang though the existence of humanity. Peter and Ernesto are two best friend sloths who live together in a tree and watch the sky together, dreaming of a larger world. 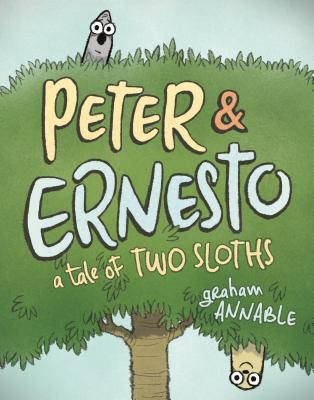 But they are far from similar, and the Peter and Ernesto series follows the two sloths on an adorable series of adventures as they navigate their timeless friendship and manage their differences. After a Labor Day trip to the beach leaves Robot rusted on the sand, Dog has no choice but to leave him and come back for him next summer. 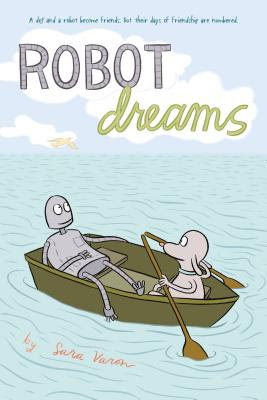 But the memories of their best friendship linger with both of them throughout the year as the Robot dreams on his sandy beach and Dog begins to form new friendships. 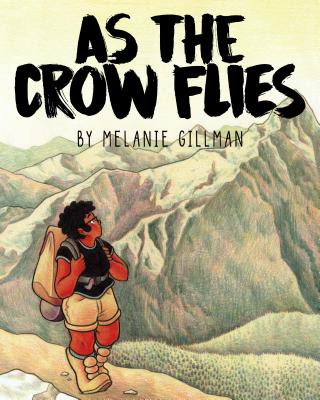 This is a wordless comic with huge heart. Tiger has a monster living under her bed, but not the kind you’d think. Tiger’s monster helps fight off nightmares, and the two of them are best friends. 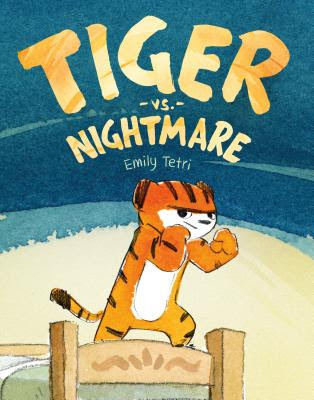 But one night a nightmare arrives that even the monster is scared of, so it’s up to Tiger and her monster to fight off the nightmare together. 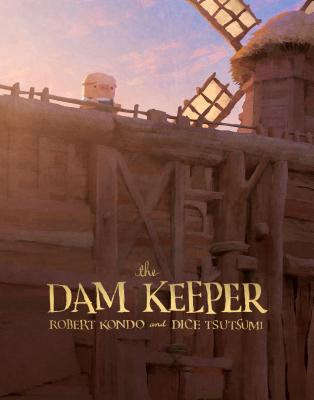 Two young children set out to visit their grandmother and quickly find themselves on an unexpected journey through a fantastical world full of Korean folklore. This early reader is a wonderfully hilarious introduction to compound words and proves how much there is to love about the English language. Gene Yang tells the story of three seemingly unrelated characters whose lives and stories come together in an unexpected way. Trust me, the less you know about this book going in, the more you'll be amazed. 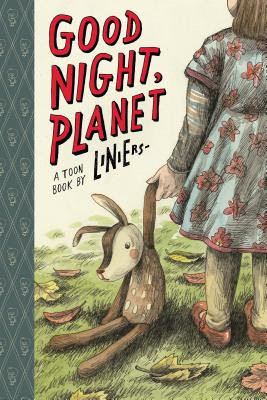 When their mother is kidnapped, Emily and Navin set out into a world of robots, talking animals, and flying ships to save her. But what Emily and her family has yet to learn is that Emily is a Stonekeeper, a sacred role in a much larger war. And she's essential to the survival of this world. 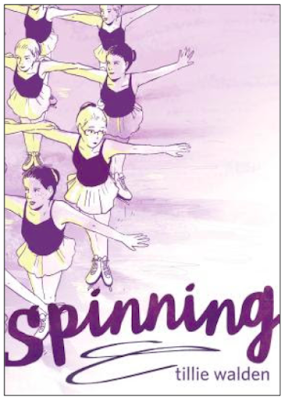 In this comedic graphic memoir, Vera delves into her childhood experience at a Russian summer camp. All very has ever wanted is to fit in, which isn't easy for a Russian girl in the suburbs. So when she hears about a Russian camp, she jumps at the opportunity to go. Only, it seems that she has a tough time fitting in there, too, with all the girly drama, lack of running water, and involuntary extended stay. 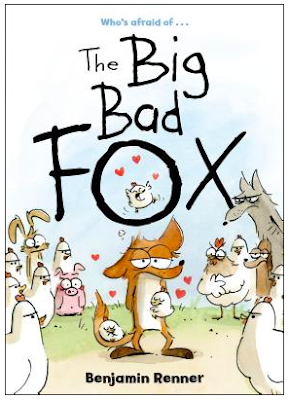 Through watercolored, comic-style illustrations, this book tells the tale of a fox who dreams of being the terror of the barnyard, but ends up being Mommy to three baby chicks instead. And of course, there's Wolf, who won't stop hounding Fox about wanting to eat the baby chicks, and the local farm that's been on high-alert ever since Fox stole the chicks. So in the midst of all these hard decisions, what's Fox supposed to do when he finds himself actually caring for the baby chicks? When cousins Fone Bone, Phoney Bone, and Smiley Bone are run out of their hometown, they mistakenly end up in a mysterious land filled with wonderful and terrifying creatures. Together with Thorn, Gran'ma Ben, and the Great Red Dragon, the three cousins set out on an epic journey that pushes everyone involved to their very limits. In two volumes, Boxers & Saints tells two parallel stories. Readers follow the lives of Little Bao, a Chinese peasant whose village is slowly destroyed by Christian missionaries, and Vibiana, a lost girl who finds herself at home with Christianity. As their lives intersect, they discover who they are and what they truly believe in. As the sole survivor of his tribe, Broxo spends his days hunting and hiding from the walking dead that occasionally wander by. When a princess named Zora arrives looking for Broxo's tribe, the two must come together to battle the living dead. Indiana Jones meets Mad Max meets Star Wars! 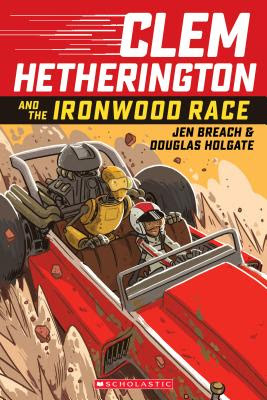 After the death of their successful archaeologist parents, Clementine and Digory Hetherington, a human and a robot, set out to claim their rightful place in the world of archaeology. Callie is a set designer for her drama department's stage crew, and this year she's determined to spend her middle-school-sized theater budget on a set worthy of a Broadway play. But of course, this is middle school, and nothing is ever that easy! Callie knows very little about the intricacies of the drama department, and it doesn't help that two new cute brothers have suddenly joined up. At the start of a new school year AJ is finally ready to be cool: everyone around him is changing and it’s time he caught up! And when he’s partnered with his crush––a girl named Nia who is obsessed with vampires––he knows it has to be fate that this is going to be a good year. 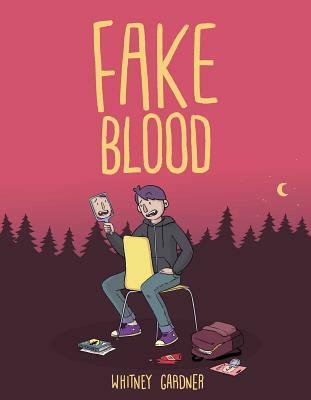 But things get a little weird when their teacher starts acting odd and, of course, there’s that whole thing about AJ pretending to be a vampire and Nia being an actual slayer… SO many great references to the Twilight Series and Buffy the Vampire Slayer! It's 1860 in New York City when 12-year-old twins Alexander and Cleopatra's father disappears. So they set out the find him, encountering countless dangers along the way that test the sibling's trust, bond, and faith. And that doesn't even count the pirates and gangs that are hot on their tail. In this graphic memoir readers learn about Lunch Lady illustrator Jarrett Krosoczka. 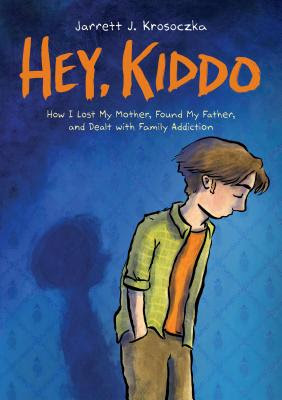 With his mother in and out of rehab and his father not in the picture, Jarrett lives with his grandparents who are––to put it lightly––loud and opinionated people. 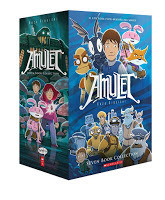 But they lovingly raise him and encourage him to pursue his love of drawing, and this is the story of how Jarrett became who he was meant to be all along. Though seemingly from different worlds, Kaidu and Rat find themselves on a journey together to save their city. Warring factions break out and it’s up to Kaidu and Rat to make sure their city doesn’t get lost in the war. Priyanka Das has lived her life filled with questions. Who is her father? Why did her mother leave India many years ago? And why won’t she talk about it? 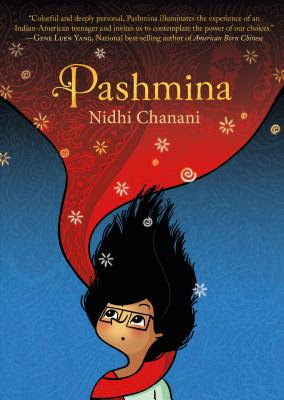 Pri thinks she’ll have to live her whole life surrounded by mystery until she discovers a mysterious pashmina tucked away in a forgotten suitcase. When she puts it in she’s transported straight to India, guides included. But is this truly the India her mother left? Prince Sebastian leads a secret life at night, dressing up in women's clothing and taking Paris by storm as the fabulous Lady Crystallia. 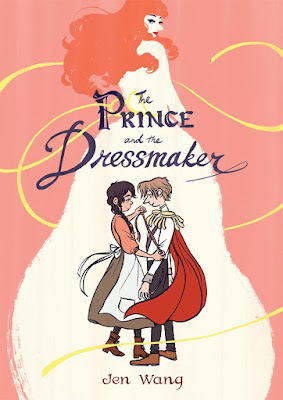 Only two people know his secret, one of whom is his best friend and brilliant dressmaker Frances. Frances dreams of being the world's hottest designer, though, and keeping Sebastian's secret means she, too, must be kept secret. How long should Frances defer her dreams to protect her best friend? And how long will Sebastian keep his identity a secret? Lupe is your average teen who's on the verge of celebrating her quinceañera. 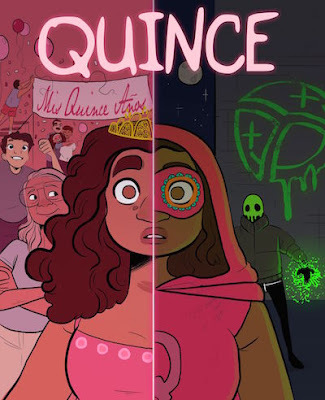 But when her quince finally arrives, something changes. Something huge. She suddenly has superpowers! But the powers only last as long as she’s fifteen, so she has one year to harness the powers for good and help save the people around her. I interview the contributors here. Everyone in The Group wants to be Jen's #1, and some girls even result to bullying to stay on top. Every day is a roller coaster for Shannon as she learns how hard it is to find her real friends and why it's worth the journey. 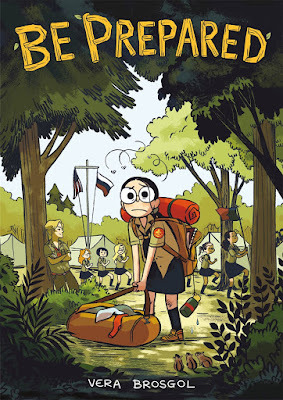 In this autobiographical comic book duo, Raina Telgemeier delves into braces, sisters, and the sixth grade. Raina humorously recalls the events in her life through flashbacks, and readers get to know what made Raina who she is today. Suee has always been a loner, and that doesn't change much when she transfers to Outskirts Elementary. Especially given that bullied kids (called Zeroes) end up turning into zombies. 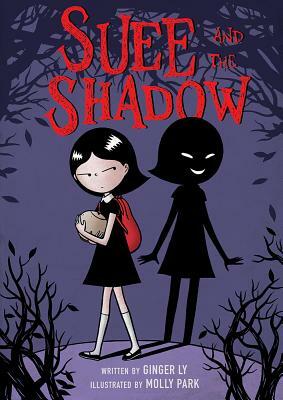 But when her shadow suddenly comes alive and forms an evil plan, Suee realizes just how much is at stake in this small, creepy town. Young Sunny spends a summer with her grandfather as her family attempts to help her older brother find his way again. Summer learns about adapting to new family dynamics and understanding how those around us shape the course of our lives. Thirteen-year-old Charlie Lamonte is queer, black, and questioning her belief in God. Needless to say, things get uncomfortable quickly when she agrees to spend a week at an all-white Christian backpacking camp. Will she ever find someone who understands her point of view? 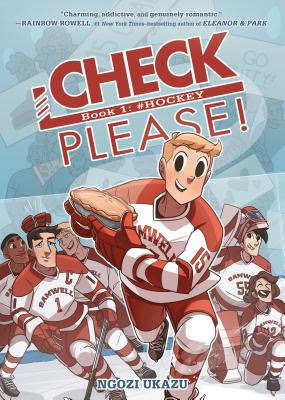 Eric Bittle is a vlogger, former figure skating champion, and he loves to bake, but being a freshman on his university's hockey team is a whole new ballgame for him. As a Georgia native with a relatively sheltered upbringing, he has to balance quite a few new challenges, like coming out to his teammates and learning how to literally roll with the punches--hockey is a contact sport after all! 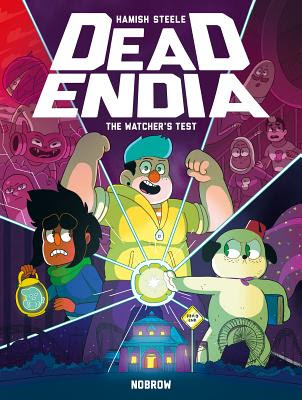 Barney and his best friend Norma are just trying to keep their jobs at the Dead End theme park, but it isn't easy when Dead End is on a portal to Hell. Their jobs involve battling demonic forces, wrangling kids, and dealing with complicated love lives. Not to mention the fact that Barney's pug has just started talking and might be the key to everything they've been experiencing. 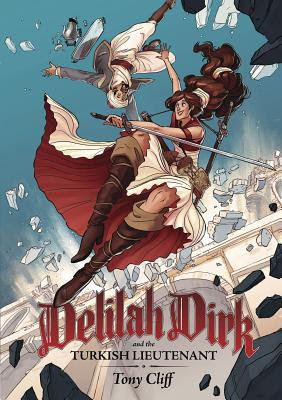 Delilah Dirk is a carefree, vivacious, and untethered adventurer from the 19th century. When her escapades bring her to Constantinople she teams up with a Turkish tea maker, Mr. Selim, and the two travel the world together, overcoming obstacles ranging from their flying boat catching on fire to espionage to simply trying to agree with each other on a daily basis. Everything on the island of Here is orderly and neat until one man's unstoppable beard gives him and the citizens of Here a new perspective. 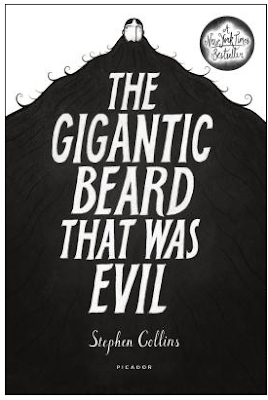 If that sounds intriguing enough, then I suggest you pick the book up. I don't want to say anymore about the story since it's fantastic and unexpected in every way. Katie has always been a picky eater, but as she grows up and enters high school and then college, she finds herself continuing to struggle with body dysmorphia and anorexia. 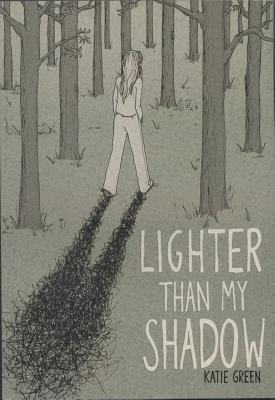 Based on the true story of author Katie Green's battles during her formative years, Lighter Than My Shadow is a raw, honest, and deeply self reflective graphic memoir about struggling to understand oneself and learning how to seek out help and recovery. This trilogy is a vivid first-hand account of John Lewis' lifelong struggle for civil and human rights. Beginning with his initial desire to enact change all through President Obama's inauguration, readers experience the uphill battle Lewis and his comrades had to fight in order to achieve the rights they deserve. 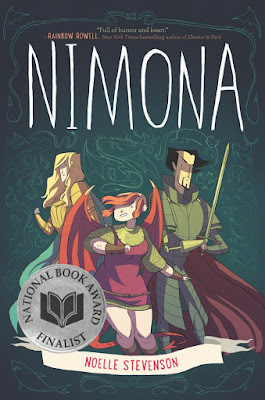 Nimona is an impulsive young shapeshifter who wants to be a villain, so when she finds super villain Lord Ballister Blackheart, she's determined to be his sidekick and prove that heroism is overrated. 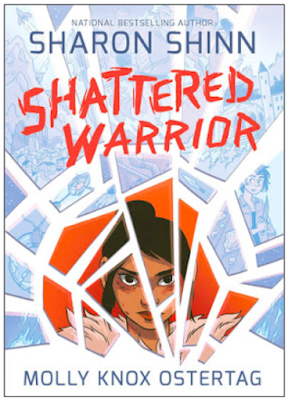 But what starts as small vengeance turns into something much larger as Lord Blackheart discovers that Nimona isn't who she claims to be. 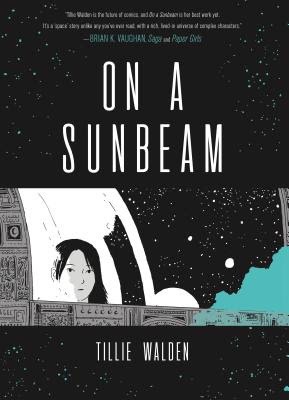 A weaving together of two separate timelines, On a Sunbeam shows readers that love has no boundaries and second chances are everything. In one timeline we see two girls meeting and falling in love, only to be separated shortly after. In the other, we see an older version of one of those girls traveling through space to rebuild fallen structures--and her own past. 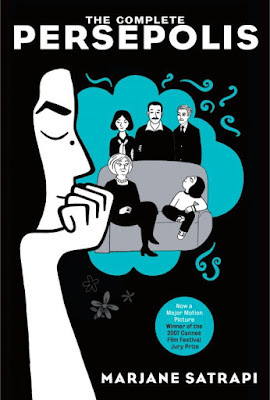 This autobiography tells the story of Marjane growing up in a large family in Tehran during the Islamic Revolution. 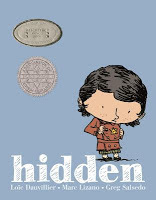 Through boarding school, living at home, and her ultimate self-imposed exile from her beloved homeland, readers journey with Marjane as she struggles to understand the actions of her country. One of my favorite books of all time! 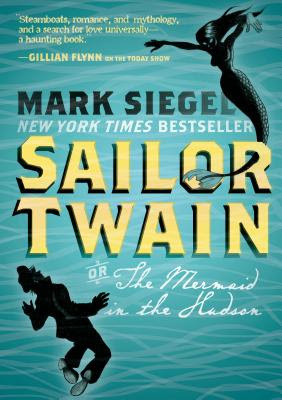 One hundred years ago a riverboat captain rescues an injured mermaid from the Hudson River, a notoriously reclusive author makes a public debut, and a French nobleman––who seems to be losing his mind––begins talking about his search for the remedy of a curse. As the stories unfold, the mysteries that shroud each event become clearer and more connected to each other, forever altering the lives of everyone in the story. 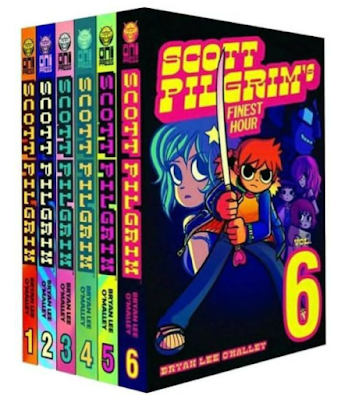 The epic six-book tale of one guy's quest to win the heart of the girl of his dreams by defeating her seven evil exs. A completely wordless story about love and faith. 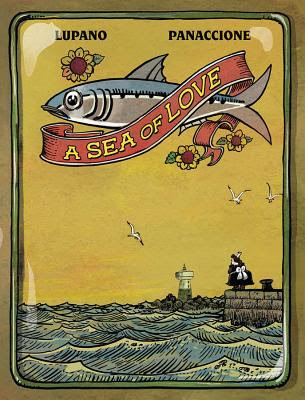 Every morning a man heads out to sea, leaving his doting wife behind to fish. When he doesn’t come home one day, his wife sets out on a journey to find him, convinced her husband is still alive. 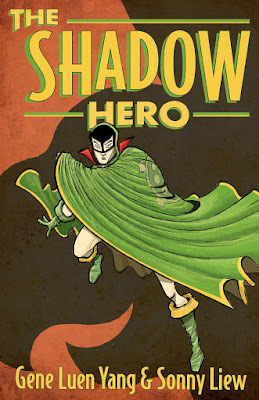 In the 1940s, the Green Turtle was the first Asian American superhero. The comic had a short run before lapsing into obscurity, but Gene Luen Yang and Sonny Liew revive the character and create an origin story for the Green Turtle full of action, vengeance, and heart. Eight years after Colleen's home is invaded by aliens and her entire family is slaughtered, Colleen receives news that her niece Lucy is still alive and decides to join a revolution to save her. But how does Colleen know who she can trust? Addison provides for her sister by selling her illegal photographs of the mysterious and deadly Spill Zone, but when she gets an offer that's too good to refuse, Addison takes a risk that might be one step too far. Not to mention, her sister is definitely up to something and far less innocent than she seems. Ice skating is a central part of Tille's identity, acting as a safe haven from the stress of school, bullies, and family. But soon it loses its sparkle and and she begins to question how the close-minded world of figure skating fits into her life. As it’s a graphic memoir, we get an in-depth and relatable look at what it means to her to accept and share the more intimate parts of herself with others, including her sexuality.